Appliqués are perfect accents for cabinets, range hoods, bookcases, doors, walls or any space that is missing that certain touch. Adding a decorative appliqué adds freshness and design interest to any room. Frieze mouldings are perfect accents for cabinets, range hoods, bookcases, doors, walls or any space that is missing that certain touch. Adding a decorative frieze moulding adds freshness and design interest to any room. Insert mouldings are perfect accents for cabinets, range hoods, bookcases, doors, walls or any space that is missing that certain touch. 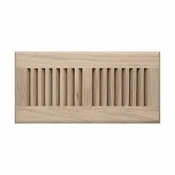 Adding a decorative insert moulding adds freshness and design interest to any room. Onlay mouldings are perfect accents for cabinets, range hoods, bookcases, doors, walls or any space that is missing that certain touch. Adding a decorative onlay moulding adds freshness and design interest to any room. Panel mouldings are perfect accents for cabinets, range hoods, bookcases, doors, walls or any space that is missing that certain touch. Adding a decorative panel moulding adds freshness and design interest to any room. Scroll mouldings are perfect accents for cabinets, range hoods, bookcases, doors, walls or any space that is missing that certain touch. Adding a decorative scroll moulding adds freshness and design interest to any room. Carved from premium grade hardwoods, our hand crafted valances will certainly enhance your range hoods, kitchen islands and cabinetry. Adding a decorative valance adds freshness and design interest to any room.